I was pleased to attend the Alaska Federation of Natives (AFN) 2015 annual convention on October 15-17, 2015 in Anchorage, Alaska. 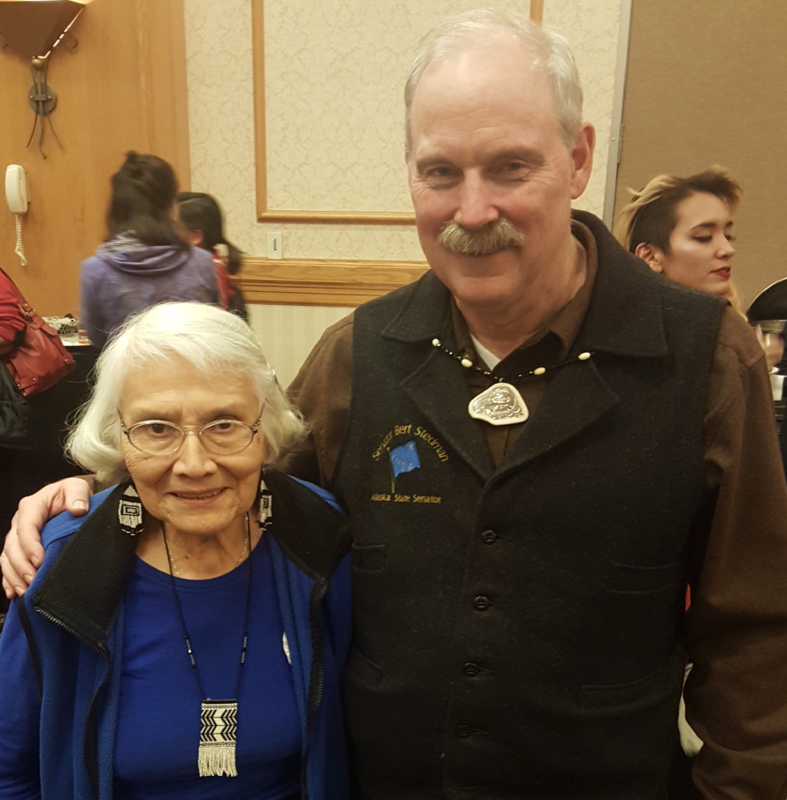 The theme for the convention was, “Heroes in our Homeland,” which was chosen as way to recognize and celebrate the many leaders working humbly to strengthen our communities and to reflect the Alaska Native way of life. The keynote address for this year was split between Ketchikan residents, Delores Churchill and her grandson, Donald Varnell. The focus of their address was how important it is to preserve, pass along, and grow Alaska Native art, culture, and languages. I also had the pleasure of attending many events held during the busy three day convention, but one highlight was the joint reception held by Sealaska and Tlingit Haida Central Council, the tribe and the regional corporation are both in my district. My staff were also on hand and attended the three day convention. During the Southeast Caucus the delegates voted on the Southeast Village representative seat which is taken into consideration on every year by those in attendance. A very special congratulations to the newly elected Southeast Village representative, Sarah Dybdahl. Sarah’s family is from Klawock, Alaska and she currently serves as a board of director on the Klawock Heenya Corporation. Sarah will join Joe Nelson (Sealaska Board of Directors Chairman) and Richard Peterson (Tlingit Haida Central Council President) at the table of the Alaska Federation of Natives Board of Directors representing our communities on the statewide board. Delores is Haida, and a renowned Chilkat weaver, teacher, and culture bearer who learned her craft from her mother, Selina Peratrovich. She is also keenly interested in preserving and growing native languages, and is a member of the Alaska Native Language Council. Her grandson, Donald Varnell is a wood carver and sculptor. Delores just celebrated her 86th birthday. Please join me in honoring her contributions to making Alaska a better place to live and grow up. 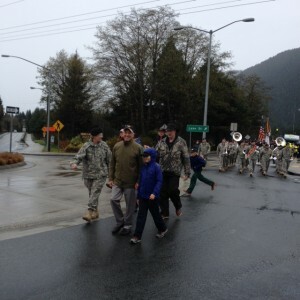 Senator Stedman walking in Sitka’s Alaska Day parade on October 18, 2015 with Alaska National Guard Brigadier General Laurie Hummel, Lieutenant Governor Byron Mallott with his grandson, and Sitka Mayor Mim McConnell. 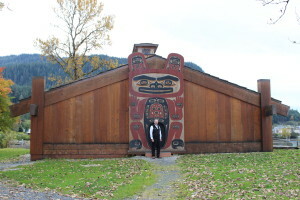 Chief Shakes Tribal House with Senator Stedman at the entrance. Senator Bert Stedman was among the invited guests to address the delegates in attendance. 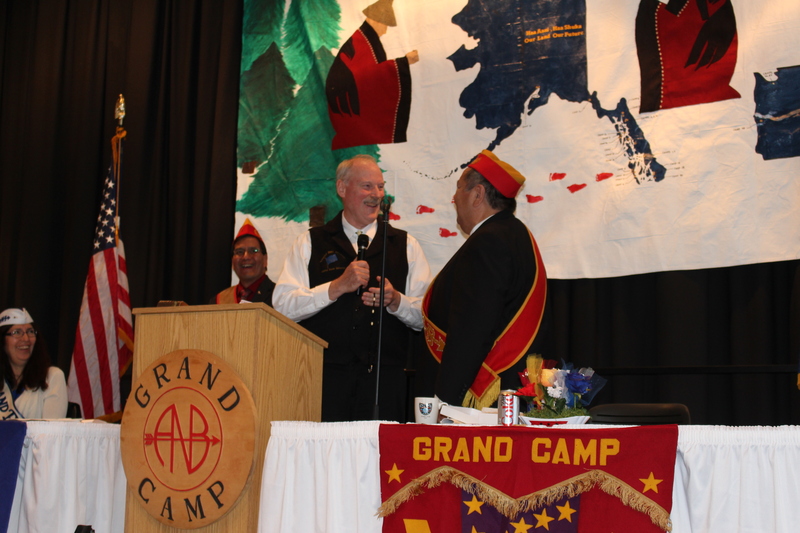 The brothers and sisters of the Grand Camp honored Senator Stedman for his work to help continue the culture of Southeast Alaska through the rebuilding of ANB Founders Hall, located in Sitka, and Chief Shakes Tribal House, in Wrangell, and several others throughout Southeast. Senator Stedman thanked the officers and members of ANB and ANS for their hard work over the last 100 years. During his address to the delegates he discussed: the ANB Founders Hall and Chief Shakes Tribal House Renovations; Saxman Totem Pole Restoration; Mt. Edgecumbe High School swimming pool and the partners involved; Ketchikan Indian Community Vocational Training Center; Alaska Native Medical Center housing project; Energy and Transportation – Alaska Marine Highway System; road and power from Kake to Petersburg; Reynolds Creek in Hydaburg; and coming attractions this legislative session. Senator Stedman also discussed the budget, budget reductions, and took several questions from the audience. The delegates in attendance were very impressed with the honest conversation they were able to have with Senator Stedman. 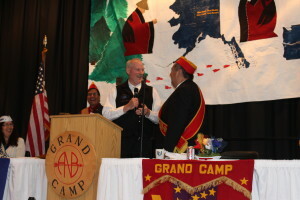 “It was my honor to meet with the officers and members of ANB and ANS, talk with them about their current issues and congratulate the sisters on their first 100 years.” ANB and ANS thanked Senator Stedman for his work and interest in preserving the culture of Southeast Alaska for current and future generations. 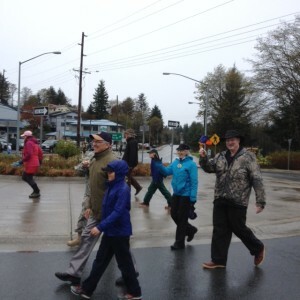 Senator Stedman’s family has been residing in central Southeast for over a century and wishes both ANB and ANS and the Stedman family make the 200 year celebration even more significant than the first 100 year.